Followed the Deconstructed Sketch #100, and made a gift-money envelope for my mom. Used washi paper and some color cardstock, and sentiment is computer generated. 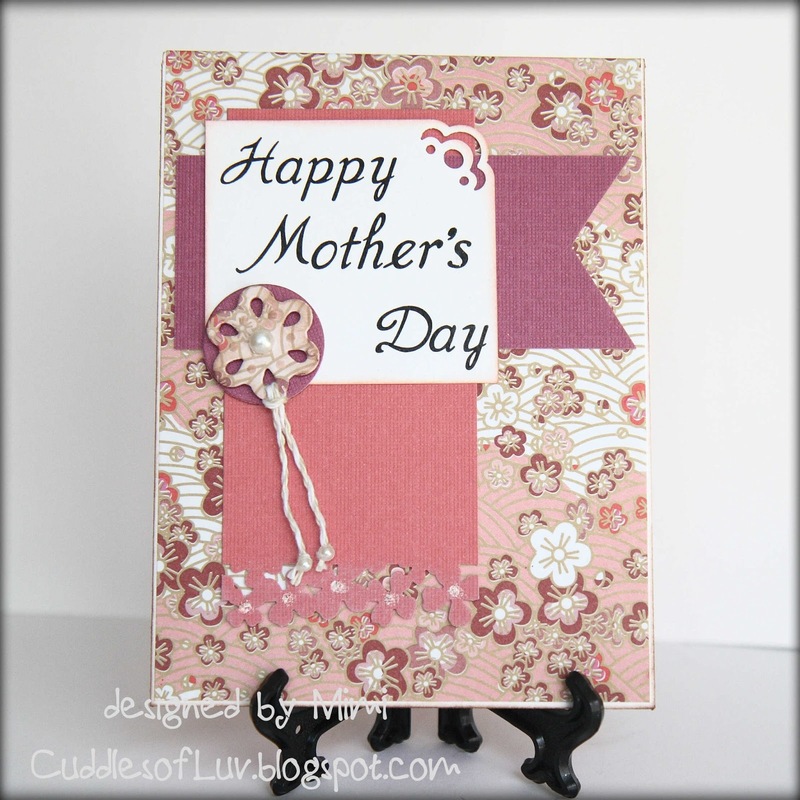 Added the smallest Spellbinder die from tear drop circles, looks almost like a sakura flower! Wishing everyone a wonderful day, and you all get to enjoy some precious time with your families! Pretty!!! I bet your mom loves it! Hope you had a wonderful Mother's Day Mimi!! Beautiful! Love the Asian look! Hope you ad a wonderful Mother's Day!